The Euro crisis is starting to impact my travel plans. Air service to Iceland (KEF) has been reduced dramatically since the Icelanders started having currency problems (they have since been made to look responsible thanks to Greece, Italy, Spain, Ireland, Portugal, and Cyprus). Despite not being in the news, air service to the Continent has shrunk to EasyJet, airberlin (oneworld), SAS (Star Alliance), and Iceland Air. I'm not 100% certain, but SAS and airberlin are my most likely options. 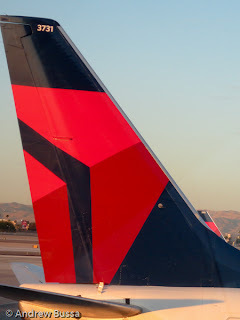 Yes, I know I can fly direct from New York on Delta, but where is the fun in that? Delta charges twice as many miles to go JKF-KEF than JFK-SFO and KEF is just 7 miles farther away. If I'm not completely crossing the Atlantic, I refuse to pay full price. Same complaint for Iceland Air's Saga miles, the rates are atrocious (Alaska is an Iceland Air partner until June 1, 2013 and their rates are also high). SAS is the best option for me because I can fly from anywhere in Europe to Oslo and then to Iceland. This will cost 25,000 United or US Airways miles round trip (or 40,000 miles in business class) from another European city. I can also use American Airlines or British Airways miles to fly airberlin (both would cost 20,000 miles round trip in coach). 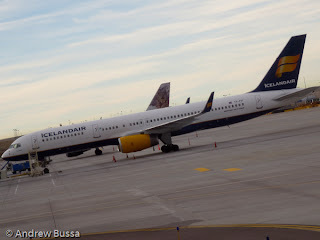 Iceland can also be a destination for my United or US Airways ticket and then I can stop at a Star Alliance hub for my free stopover (AA and BA don't have free stopovers).